When I turned 30, I was diagnosed with something called Pre-Menstrual Anxiety (it’s PMS on steroids). I was prescribed Zoloft to be taken 10 days before I started to help with my anxiety. The side effects were horrible. It screwed with my thyroid. After 3 months of that torture, I stopped taking it. I decided I would deal with it the best I could. I’m thankful I have a loving and understanding husband. I was mean and irritable. When I turned 40, I was told that I was entering peri menopause. My PMA worsened. I’m 47 years old, and when I started Neurofeedback, my symptoms improved drastically. I feel so much better. The Neurofeedback has taught my brainwaves to balance my cycles. I’m so thankful for Asheville Brain Training. Our 6 year old was not learning like other kids in school. We saw Dr JoJo at Asheville Brain Training for a brain scan and learned there were frontal lobe issues related to inflammation and were given an individualized neurofeedback plan. The twice weekly sessions have made a huge impact! His writing improved, number and letter recognition improved, he learned faster and retained longer. His drawings now look like what he intends to draw. He is so thankful his brain is working much better thanks to these fun and pain free treatments. We are astounded by the progress and highly recommend Asheville Brain Training! We brought our son to Dr. Yonce thinking he was developing ADD. His initial brain mapping showed he did not have ADD, but had received a concussion while playing football. JJ started Neurofeedback and in about 10 sessions, he made a huge jump. He became quick-witted, focused, and his grades improved. One evening on the way home from an event, he started asking about the theory of relativity. My husband asked him where he had heard about it. He said, “nowhere, I was just wondering”. At his second brain map, there were no signs of a concussion. JJ kept improving in his school work. He even made a perfect score on a science exam after missing almost two weeks of class due to illness. His teacher sent a note home saying she would not be sending any makeup work since he made 100 on the test. Neurofeedback works! Dr. JoJo is a caring and compassionate professional. He is committed to integrity with his clients and works for their best interests. Highly recommend. I went to JoJo because others had raved about his work. I wanted a boost in memory and focus and I got it! It took a minute for me to understand how this treatment works, but then it really makes sense once you begin the process. I highly recommend, and JoJo makes the experience very comfortable! 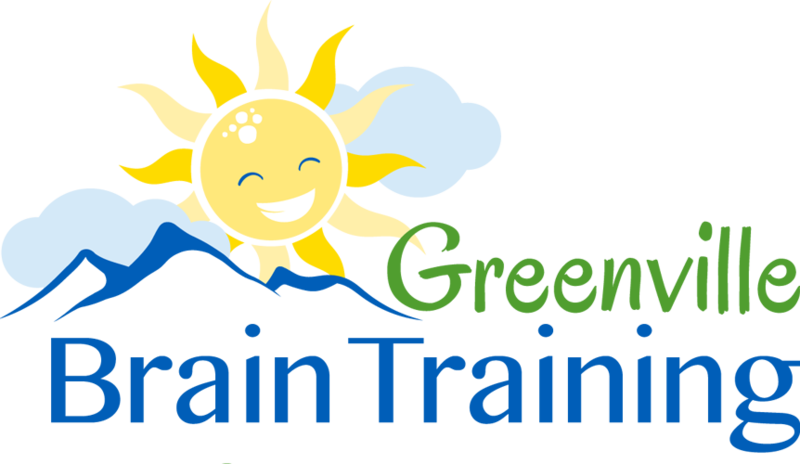 My husband has been receiving brain training for a few months with Dr. Green after suffering a tumor on his brain, a traumatic brain injury and a stroke. He was not able to even follow simple task. Today he is able to communicate, drive himself to his sessions, participate in daily activities. The change is unbelievable. The staff, Dr. Green and Dr. Yonce are EXCELLENT. They care so much. I was skeptical because I didn’t understand how the brain could re-train itself. They have taken so much time to explain everything! They may recommend some supplements but there is no up-sale of additional products or services. After seeing all the progress with a 70 year old, I cannot imagine how much they can do for a child! Thank you to everyone with Greenville Brain Training for giving us our lives back!